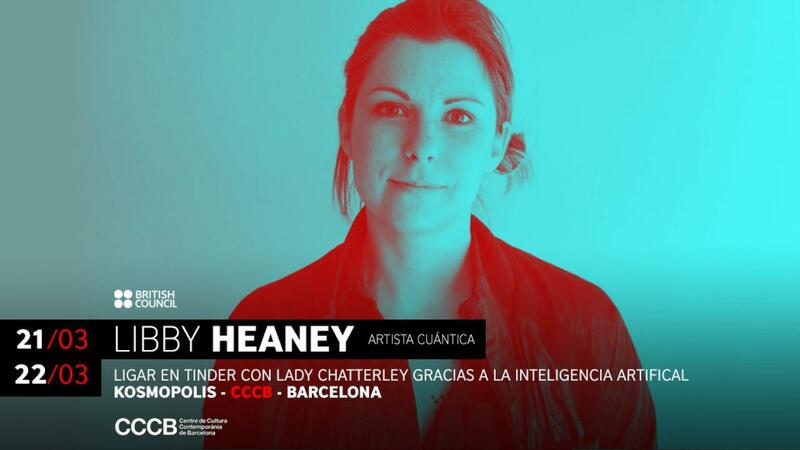 This week Libby is presented her artwork Lady Chatterley's Tinderbot at Kosmopolis Festival at the Centre de Cultura Contemporania de Barcelona. She will also run a Lovely Chatterbot and Twitterature workshop exploring romantic codes in pre- and post-digital technologies and take part on the Amor Android panel alongside Núria Gómez Gabriel and Joana Moll. Her work at Kosmopolis is supported by the British Council Spain. Kosmopolis is a biennial literary event that has been held at the Centre de Cultura Contemporània de Barcelona (CCCB) since 2002.